Lycurgus Johnson was born in Brennam, Washington County, Texas, August 25, 1844 to Nancy Reddick Greer and Willis Johnson. His father died when Lycurgus was about 8 years old. Mormon missionaries converted his mother and some of his older siblings in 1854 and the next year most of the family traveled by wagon to Salt Lake, Utah. Lycurgus lived with his mother, brother Alfred, sisters Victoria and Nancy, and cousin Adeline York in the Greater Salt Lake 6th Ward until after 1860. The family then moved to the Bear Lake area of northern Utah and lived there for about 10 years. Lycurgus married Cora Isabella Davis 1 March 1867 and had their first child Willis Lycurgus in St. Charles, Idaho on the northwest end of Bear Lake. The family moved to the south end of Bear Lake and there Willis died in September 1870. The couple had seven children in the Bear Lake area but only Warren, Alfred, and Snellen lived past the age of 2. Lycurgus was appointed Constable of the Lake Precinct of Rich County on August 1, 1870. 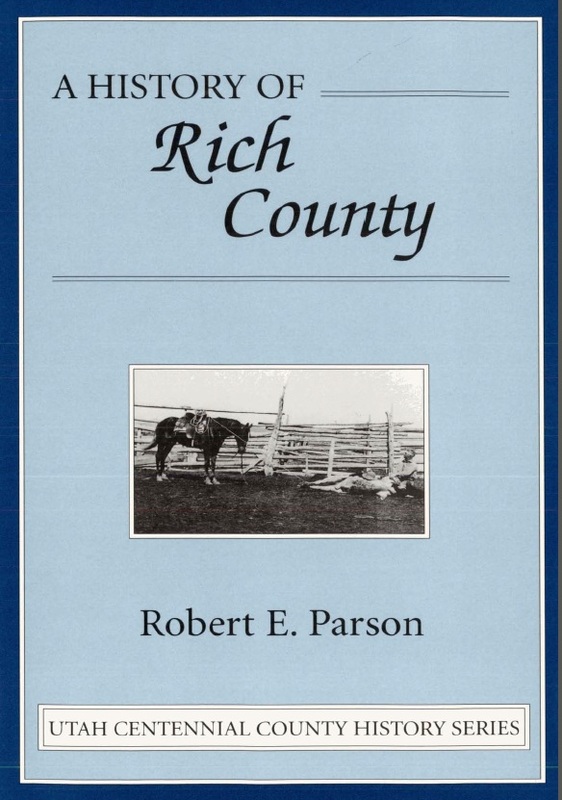 Having been asked by Church leaders, in 1878 they moved along with his brother Alfred Summers Johnson, Joseph Hardy Sr., and Allen Davis families to Ashley Valley or the area of present day Vernal, Utah. Nancy Reddick Greer Johnson Sprouse, the mother of Lycurgus, was killed in a tragic accident on the way to Ashley Valley. In 1879 excitement with the Indians forced families to move their cabins to Ashley Town which was located 2.5 miles northwest of Vernal. Lycurgus was about 35 years old at this time. He opened one of the first stores in Ashley Town. He became the second postmaster of the valley in September 1879 and was also elected the first sheriff on August 2, 1880 and served for two terms. He served three terms as Selectman, 1882 to 1888 while acting as Deputy United States Marshal. Four children were born in Ashley Town including Clarence, Nancy, Cora and Hazel. They lived in Ashley Town for nine years. Lycurgus built the 2nd flour mill in Ashley Valley in 1885 which operated for over 20 years. After 7 years he finished building the ?Rock House? in 1888 from large stones cut from Ashley Canyon. The home stood on 19 acres complete with excellent irrigation and built close to the flour mill. The family then moved to Maeser and lived there for twenty years. He moved his store from Ashley Town to Vernal and sold general merchandise and furniture under the name L. Johnson & Sons as all his sons participated in his business ventures. Lycurgus represented Ashley Valley in the Territorial Assembly in 1890 and also in the Constitutional Convention in 1894 and became one of the 99 signers of the Utah constitution in 1895. In the late 1890?s Lycurgus won vast contracts including duty to supply the government with wood at $3.50 per cord and 80,000 pounds of bran at $1.30 per hundred. He was appointed the general contractor for the building of the Stake Tabernacle in Vernal in 1900 and completed that work in 1907. In 1905 Lycurgus was elected Mayor of Vernal and filled the office January 2, 1906. By the end of this life he had acquired considerable real estate and wealth through vast enterprises including commerce, stock, water interests, and mining. He died June 29, 1908 and is buried at the Rockpoint Cemetery in Vernal. James Johnson pg. 186 "List of pioneers called in conference in October 1870 to help Charles C. Rich and Lorenzo Snow settle the "Northern" part of Utah."